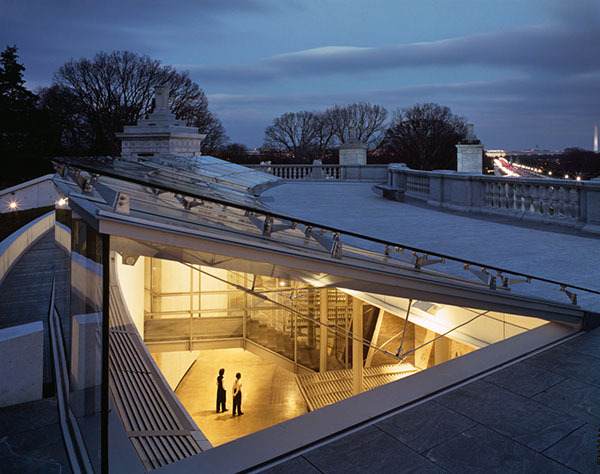 The Women’s Memorial, winner of a national competition, transforms the historic McKim, Mead and White hemicycle retaining wall into a new ceremonial gateway to Arlington National Cemetery. 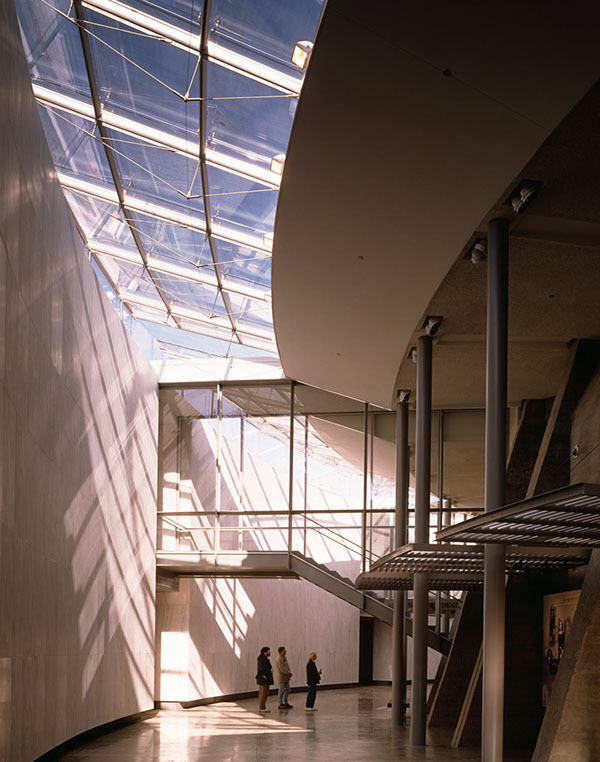 An excavated arc of space between the hemicycle and the cemetery forms the 37,000 square foot memorial and education center which includes an exhibition gallery, an auditorium, computer register, conference facilities, and Hall of Honor. 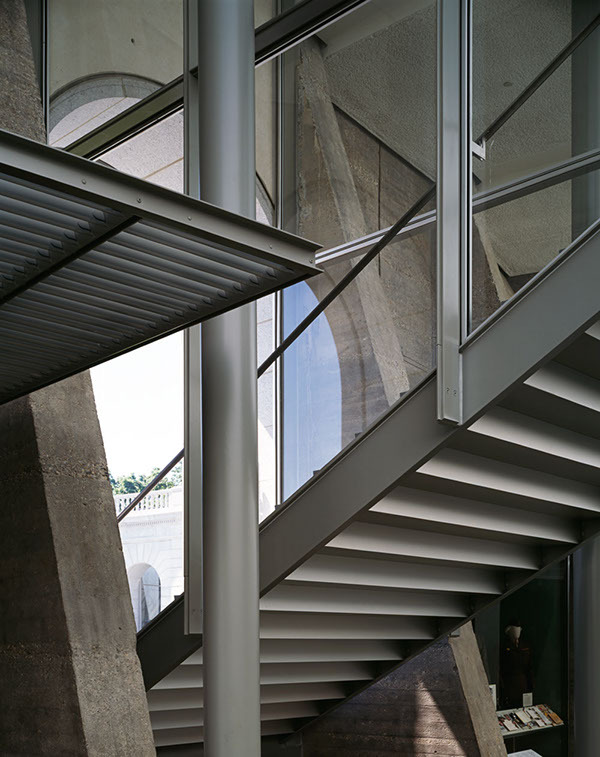 Four glass-enclosed staircases pierce the historic granite structure and ascend through the interior space of the memorial gallery to an upper terrace. 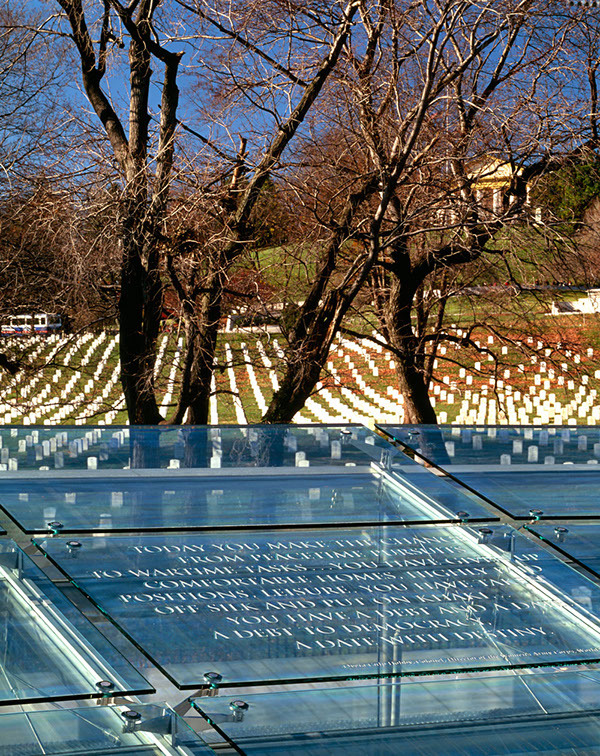 The terrace is defined by a 240-foot diameter arc of glass tablets carved with texts by and about the women who served. 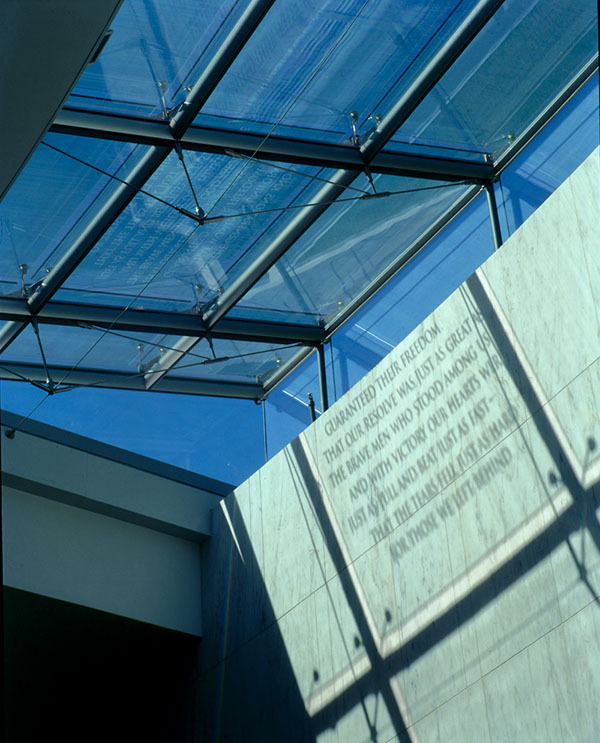 Sunlight passing over the inscriptions casts legible shadows onto the marble wall of the gallery.